Appx. $3.49 for 18 oz. 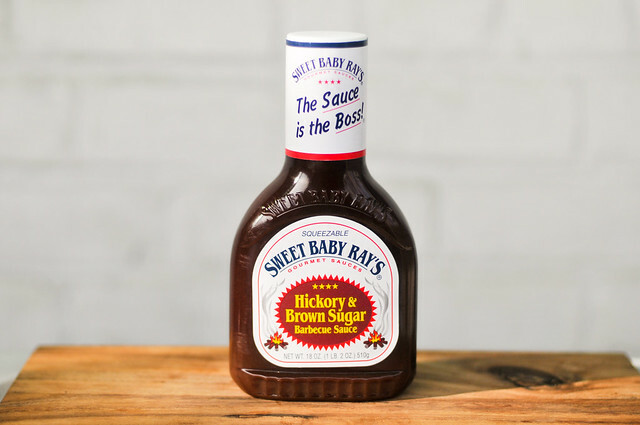 Taking on a different set of flavors than the original, this sauce still preforms on the same consistant level that makes Sweet Baby Ray's so popular. The flavors are bold, but balanced and it works great out of the jar and as a baste on the grill. 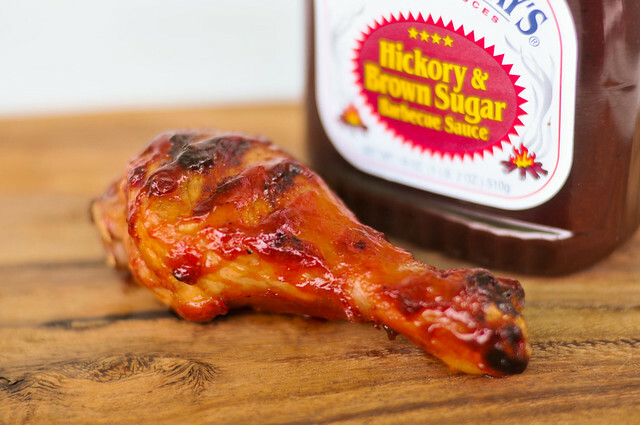 Although I prefer the more standard barbecue sauce taste of the original, Hickory & Brown Sugar is a pleasing smoke-based sauce and will instantly give anything it touches a nice smokiness. Treading charted territory, I'll keep the background brief. 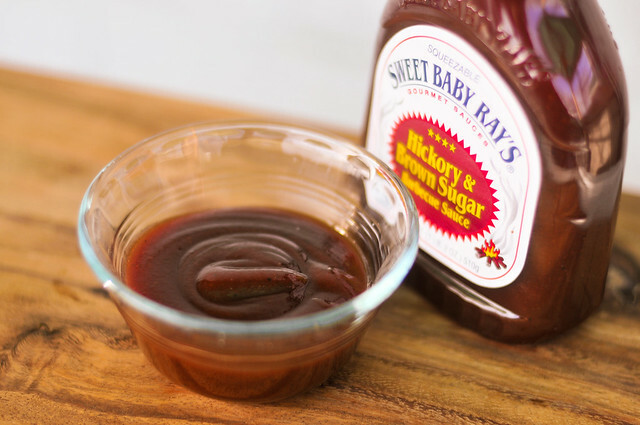 Sweet Baby Ray's was born in 1985 after Chef Larry Raymond perfected his family's barbecue sauce recipe. 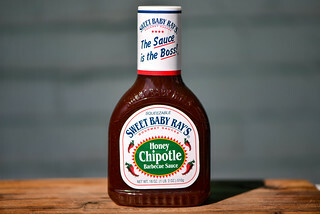 After mainly local sales, the sauce was brought national in 1996 and quickly became the fastest growing barbecue sauce in groceries. 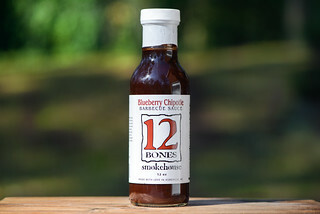 The company now produces 6 varieties of barbecue sauce that can be found in just about any large grocery nationwide. 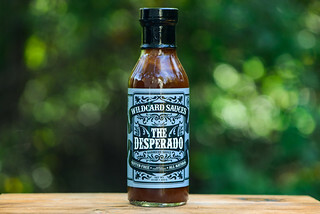 This sauce has a pleasing, balanced aroma that splits half-way between smoke and sweet molasses. There's a hint of vinegar, but mostly you get that sweet smoke that creates a nice barbecue smell. Definitely in the heavyweight division, this is the type of sauce that clings and sticks to a spoon. When it does slowly fall, it does so in one big glob, while leaving the spoon still pretty coated in sauce. The sauce is very smooth, deep brown-red, opaque, but shows a few specks of black pepper. Getting past the thick tongue coating properties of corn syrup, this sauce is actually a pretty good smoke sauce. There's a nice smokiness that does taste distinctly hickory, but it's not too heavy handed. This is probably because of a strong molasses component that forces back the smoke by a deep sweetness. After the initial smoke and sweet flavors settle in, a tang of vinegar starts to come out, but is quickly over taken by a fleeting spice that hits right at the end. The sauce retained most of its properties out of the jar after being cooked on the chicken. The bold, but balance smokiness added a lot flavor to the chicken, with just the right amount of sweetness. The thickness of the sauce translated into an incredibly sticky chicken leg, but I was left content with that fact that I was forced to lick my fingers cleaned. This sauce is the boss!